If you are a newly licensed agent, an agent not getting the results you want, or a professional looking for a little more freedom, we need to talk. Did you know 85% of newly licensed realtors leave their careers within two years? This is often due to lack of training and support, shortage of leads and inconsistent income. You don’t have to be another statistic. •Being bombarded by “new” shiny products that cost a fortune. Does this all sound painfully familiar? If so, keep reading, because the bottom line is that without consistent income, it’s not worth the pain. Hi! 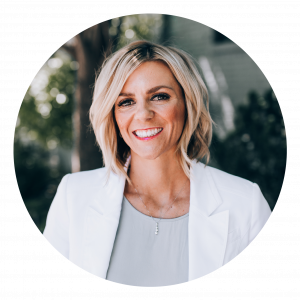 I am Spring Bengtzen, owner of The Utah Life Real Estate Group at Keller Williams Legacy, and I have been in the real estate business for 13 years. During my career, my team has sold thousands of homes. We’ve been the top producing team for Keller Williams in Weber and Davis County for the last seven years & we’ve had a Rookie of the Year” on our team six of the seven years. I have felt the pain of the corporate world and real estate alike. I’ve experienced what all of you are going through and have invested tens of thousands of dollars into figuring out the right systems and processes so you don’t have to! We’re focused on leveraging each other’s strengths to provide exceptional service while also maximizing each team member’s talents. Entrepreneurship and out-of-the-box thinking are the driving factors to our success. The bottom line is that we pay for your success so you don’t have to! No matter where you’re at in your career, I have a plan for you. Are you a new agent, overwhelmed by not knowing what to do next? If you’re on my team, I take the guesswork out of how to jump-start your business. I have built a 100-day plan that will start you off on the right foot. Each day has a specific task and a focus aimed that will get you into immediate production and a paycheck coming in your first 100 days. We set SMART goals and benchmarks for you to hit in your first 30, 60, 90 days. Not only do I provide you prequalified, hot leads, but I also help you become an expert on four different lead generation sources. Are you an experienced agent or business professional, ready to get MORE from your career? If you’re ready for that next step in your career, I’m ready to help. I have had several executives of companies and entrepreneurs join my team and within their first year saw substantial success and personal growth. In order to support your goals, I have a full transaction coordinating team, a marketing department, and lead generation team to help you increase your business. My transaction coordinators will take your file from start to finish so you can focus on selling. My marketing and lead generation departments will help you increase your lead flow so that you have more clients to work with. I will coach and guide you every step of the way and provide the tools you need to be successful. Not only do I help your business boom, I have growth and leadership opportunities within my team that could be available to you. Here are a few more reasons to join me. At the ULRG we’ve created an environment where our salespeople sell a minimum of two homes per month, many are selling five to six homes per month. My team members earn a consistent income and take home a minimum of $60,000 to $100,000 per year. Our team approach ensures you can focus on 1 thing (selling!) and our transaction managers will take your file from start to a successful close. Here is exactly what we are going to cover on your first day with the Utah Life Real Estate Group. If you follow our proven, repeatable system within your first year, you are guaranteed to take home over $60,000 after all expenses, some team members are making 6 figures this year. We are hiring only a select few agents throughout the state, so take contact me today. Q. What are your commission splits? A. Our splits are tiered off of production levels, the more you produce, the better split you receive. Q. Do you accept part-time applicants? A. Currently, we are only focused on full-time applicants. Q. Do you provide leads? A. Yes, we provide high-quality leads to our agents. Our inside sales team scrubs all the leads and transfers the hot/prequalified leads to our agents. Q. Do you require floor time? A. No, but we do like the team environment, so we do require you to prospect from the office a minimum of three days a week & you are expected to prospect daily (five days a week). Q. Do you require office meetings? A. Yes. Once a week, we host an accountability conference call, a weekly team meeting (in person) and weekly training. Don’t wait to start living the life that you are envisioning in your mind. Contact me today and let’s take your career to the next level. You can email me by clicking HERE or call (801)745-0745.